Daniel Taylor brings with him extensive experience, and an exceptional reputation. 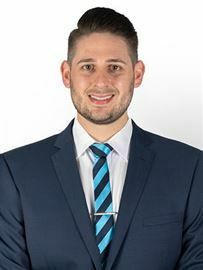 As a lifelong northern suburbs resident, with over ten years of real estate experience in the area, he confidently guides his valued clients with expert knowledge and advice. Over his tenure in real estate he has fast become one of the leading agents in the district. Outside work, Daniel enjoys watching a variety of sports and is involved with several local sporting clubs. His favourite pastime is enjoying lazy Sundays together with his wife and two beautiful girls. Armed with a wealth of knowledge, a business degree with a focus on marketing and advertising, and his genuine passion for real estate, Daniel is the right choice when thinking of buying a home or marketing your home for sale. 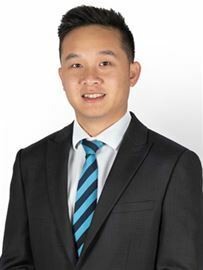 With over 15 years experience in selling real estate in the Mill Park/South Morang/Mernda/Doreen areas, Carlo has established a reputation of honesty and professionalism. This experience combined with him living in the area since 2012 provides him with extensive local knowledge which is invaluable when assisting his clients with a move to or from the area. Being responsible for many sales in the Mill Park, South Morang, Mernda and Doreen areas, Carlo knows what is involved in the successful marketing of real estate to get the right result. Carlo’s passion for real estate, together with his strong work ethic and dedication towards ensuring his clients have an enjoyable and wonderful experience in buying or selling their homes, is a large part of his success in the area. Whether you are looking to buy or sell, Carlo offers a service that is comprehensive, enjoyable and will create a lasting memory of a favourable nature. 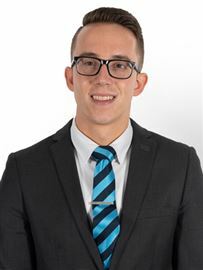 Highly trained in negotiation and customer service, Daniel ensures he always strives for the best results for his clients and is honoured to have the opportunity to represent you in your pursuit for happiness and real estate fulfilment. With a deep appreciation for the emotional experience buying and selling a home delivers, Daniel will always put your best interests first and ensure the process is as positive and memorable as possible. 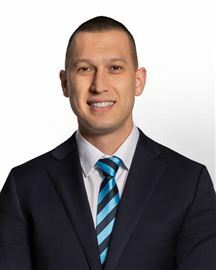 Having forged a successful career in sales and marketing over the past two decades, Daniel brings a refreshing level of experience and client servicing to the real estate industry, in a very open, honest and professional manner. Emilia began her real estate career in early 2003 in a boutique inner city agency where she built her strong foundation of knowledge and discovered her passion for real estate. In little time, Emilia worked her way into leasing and senior property management, extending her knowledge of the relative property laws ensuring she serviced her clients to the best of her ability. 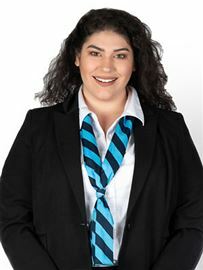 In 2006 Emilia applied her developed skills to sales and business development. Emilia recommenced her studies at the end of 2006 and obtained her full real estate license, completing Certificate IV in Property, reinvigorating her long standing career. Carrying a wealth of knowledge spanning across all facets of real estate, Emilia offers her clients impeccable value in all their real estate needs. Jesse has a highly developed sense for the wide and varied needs of individual people and the skills required to provide a superior level of personal service. Jesse is a skilled negotiator and committed to raising industry standards by creatively and effectively providing clientele with successfully tried practices that produce results. A born and bred inner-city Melbournian, Jesse brings a wealth of local knowledge of inner city suburbs where he has lived and witnessed the dynamics that continue to shape Melbourne and maintain the prestigious title of world's most liveable city. Using this ingrained knowledge Jesse is able to not only sell all the features inner city properties but also the lifestyle benefits that buyers are looking for. 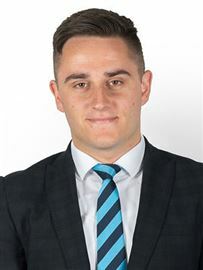 Dedicated and passionate about the real estate industry, Jesse has fast become a valued member of the Harcourts Rata & Co sales team by utilising his skills in negotiation to deliver results that exceed his vendors expectations. Jesse believes that hard work, process and market knowledge is the key ingredients to achieving great results. HONEST. INTEGRITY. DRIVE. With 8 Years of sales experience in both the Banking and Real Estate sector Jim has consistently distinguished himself as a high achiever with over $57,000,000.00 worth of property sales to date and involved in the sale of over $540,000,000 worth in property value. Jim is a dynamic and multi-talented professional with a proven ability in the successful marketing and sale of real estate in Melbourne. Working closely with his clients he prides himself on a high level of customer service, attention to detail, strong negotiating skills and the ability to maintain ongoing relationships with his extensive network of past and present clients. “With Honesty is the best policy” attitude. Jim’s committed to delivering the best result for his vendors, each and every time. Jim is an expert at matching the right buyers to the right property. Hardworking and committed to constantly enhancing his real estate knowledge and skills, Jim Kapotis is an exceptional choice if you are considering selling your property. 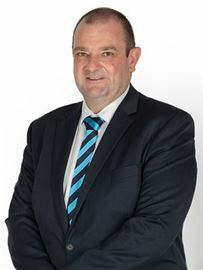 John Sambolec grew up in the Northern suburbs and started his career in real estate in 1981. John knows the local market and understands its culture and the difficulties you face when buying or selling. John believes his successful real estate career has been due to three main attributes: the ability to work hard; to analyse a persons' needs – quickly matching them to the right property; and paying strict attention to detail and accuracy. John also believes in providing a high standard of personal service to both sellers and buyers and is always keen to put in the extra effort, which can make the difference between a good result and an outstanding one. Kiran is always aiming to exceed expectations and prides himself on his down to earth nature, integrity and work ethic. 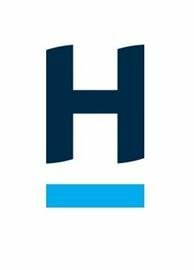 He believes in the Harcourts brand and respects being a part of this real estate group. Kiran strives to provide consistent and dedicated work for the company and clients while providing a professional service from start to finish. He conducts market appraisals, attends inspections, negotiates deals with buyers and works closely with his vendors in selling their home for the highest price within the market on a daily basis. Maria Sapkaroska’s hard work ethic and trustworthy nature ensures she is committed to finding the right property to suit her client’s needs. Raised in Macedonia in a family with strong sales and marketing backgrounds and four years retail sales experience herself, real estate seemed to be the logical choice for Maria as it was the perfect balance between meeting new people and her passion for sales. Having lived in the Northern Suburbs for 8 years and being very family orientated, she has a high understanding of the area and what families require when looking for a home. Fluent in Macedonian, Serbian and Croatian, as well as thriving on the fast paced environment and dynamic nature of the industry, Maria’s hard work and quick ability to learn ensures a positive experience for all her clients. Knowledgeable, genuine and reliable, Mario thrives on exceeding his clients' expectations. A specialist in a dynamic and demanding environment, his exemplary client service skills and enthusiasm have seen him achieve outstanding results making him one of the area’s most successful agents. 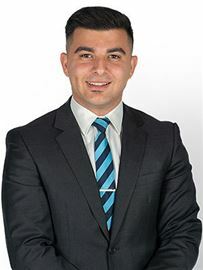 Born and bred in the northern suburbs, Mario’s honesty in dealing with his clients is complimented by his professionalism and natural ability to build strong relationships with all stakeholders in the selling process. Mario is consistently reliable and always displays sensitive and finely tuned negotiating skills to ensure all involved parties are pleased with the outcome. Michael Cananzi is passionate about real estate. He has built an outstanding reputation whilst he has been in the industry as being honest and hardworking. As a result, he enjoys excellent relationships with many local builders and developers. Being born and bred in the Northern Suburbs and attending Parade College in Bundoora, Michael understands the needs of the people in the area, and enjoys meeting new people and being presented every opportunity to forge new friendships. Outside of work, he enjoys AFL, playing golf and socialising with friends. 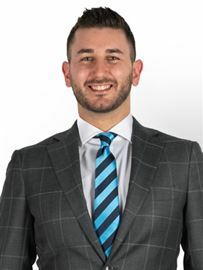 Robert Bottaro is energetic, highly organised and a great communicator, He is passionate about working in real estate and especially in the northern suburbs. Robert was born in Italy and moved to Mill Park with his family at 8 years of age where he attended primary and secondary schools making him a true local of the North. Fluent in both English and Italian, Robert has been a big help to the Italian community and his unrivalled understanding of the local property market enables him to work tirelessly for his clients to achieve the best possible results. Outside of Real Estate, Robert loves spending time with his family, travelling and meeting new people. As a Real estate agent Sherry believes one of the most important aspects of his role is to be a good listener and completely understand what people want to achieve from their real estate dealings. His success is based on a personal dedication to client service, a professional attitude to the business of real estate, and a competitive nature that keeps him focused on his goals. Sherry demonstrates professionalism to its highest possible level. He will maximize the price for your property and minimize the time it takes to complete a sale. CLIENTS FOR LIFE is the goal in which Sherry strives for. Every client is equally important to him and he will do his upmost to achieve this. Terry gets it done. And with over a decade of sales and marketing experience, it comes naturally. Through his mastery of social media and knowledge of traditional marketing, Terry is one of the rare few that can skilfully promote your property to draw huge amounts of public interest, from first homebuyers to seasoned investors. Terry's grasp of property trends in the northern suburbs is no accident. Born and raised in the north, Terry has witnessed the area's remarkable growth first-hand giving him unique insights into north-side living — from the perfect spots to raise a young family, through to high-growth investment zones. Terry himself is personally invested in the north, currently living here with his wife. All-in-all, Terry works harder than anyone else can, to get you the results that others can't. It comes with the Macedonian roots. So. Looking to sell for the best price? Searching for the perfect home? Let Terry get it done. 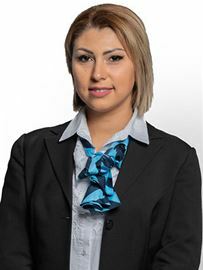 Anna has worked in the real estate industry for many years, in which time she has developed an outstanding reputation as a passionate Senior Property/ Business Development Manager. She has lived and worked in the Northern Suburbs all her life and as a result knows the area well, ensuring she can confidently attend to the needs of her landlords and tenants. Anna goes the extra mile for her landlords, she understands the importance of sharing her experiences with them to minimise their risks and maximise their returns Anna specialises in building strong and on-going relationships with landlords and tenants establishing them as long term contacts who remain loyal to her. Being a landlord herself, Anna understands all aspects of owning an investment property and ensures that her clients have a positive experience when dealing with her and the Harcourts Team. Carli’s love and interest in property led her to chase a career in Real Estate. Starting out as a Receptionist, Carli used her time to watch, learn and understand Real Estate and is pursuing a property management role. With the knowledge that every landlord and tenant wants to be treated with the utmost respect, Carli enthusiastically engages with her clients to ensure that every investment property is properly taken care of. Carli thrives on exceeding her clients expectations, making the management of their investment as smooth as possible and ensuring that their investment is well looked after. From maintaining profitability through sound tenant selection as well as offering advice with regards to market conditions, all areas are covered in detail. Carli understands the importance of the relationships she holds with clients and possesses the necessary skill set required in order to maintain new and existing relationships. With an acute attention to detail, and understanding the need for continual review of each property, Carli’s “can-do” attitude and her ability to listen carefully to her clients’ needs ensures she will achieve the highest results. With an easy going nature and always happy to help, Carli is always prepared go the extra mile. Dee has being working in the administrative side of Real Estate since 2001. Having always aimed to provide the best customer service to every client she encounters, her dedication to efficiency, bubbly personality and friendly smile has enabled her to successfully achieve this. When Dee is not working she enjoys outings with friends, dancing and spending time with loved ones. 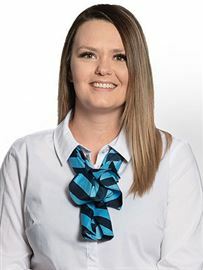 After finishing high school in 2010, Demi worked in retail to build her customer service skills, and to develop a good understanding of working within different situations. Having lived in the northern suburbs all her life, she has a good knowledge of the area and a great local network. Demi entered the real estate industry in 2012 and is thoroughly enjoying it. She approaches every situation as an opportunity to learn, and sees her role as an ever evolving position that will present her with much growth both personally and professionally. Demi’s youthful and professional approach to property management is a fantastic addition to the Harcourts team. Julia Tornatora’s lengthy career in the real estate industry has given her a wealth of real estate knowledge. Her experience in property management and in running her own real estate business ensures that she has a thorough understanding of the laws and will do her best to provide her clients with the best service available. Having grown up in a real estate family, well known in the northern suburbs, Julia enjoys the challenges that property management gives her. As a landlord herself, she understands the urgencies and pressure points of owning an investment property and works hard to minimise any difficult situations. Julia has been part of the Harcourts family for many years, and is a valuable part of the property management team. Luke is a dedicated professional known to provide a friendly and welcoming approach to his valued client base. Luke places a great emphasis on building strong, long term relationships with his investors, landlords and tenants. 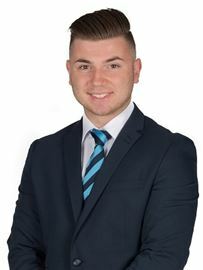 With 7 years’ experience in the industry, Luke’s goal is to maximise the return of his client’s investment properties. Exceptional Service is Luke’s Forte, with experience in all facets of Real-estate including Sales, Business Development and Property Management. A Northern suburbs local, in his spare time Luke enjoys playing tennis, and checking out local cafés and bars with friends. Melissa is a valued member of our large rental team based at our Thomastown office. She commenced her career in Real Estate in 2013 as an Assistant Property Manager and immediately her professional mannerism & amazing problem solving skills were evident. After 6 months of working alongside her peers she then was up to the challenge of managing her own portfolio. Having a strong background in customer service and her loyalty to the job has ensured her success in dealing with many different situations. When not hard at work, Melissa enjoys catching up with friends & family and has a strong belief in staying fit for the balanced lifestyle. Contact Melissa anytime to chat about your real estate needs. Paul Rametta is an accomplished & confident real estate agent in property management spending almost 5 years in a boutique agency developing an understanding of what it takes to successfully manage a portfolio. Paul truly understands in order to achieve optimal market impact a property manager needs to connect well with landlord and tenants in order to best communicate and execute their needs. If you would like to discuss how Paul can help with real estate and investment needs please feel free to contact him at any time. A truly passionate member of the team, Sam Hatzistamatis is recognised by his innate ability to build rapport with people. With a solid background in marketing and real estate plus a multitude of local knowledge, his insight and expertise allow him to efficiently assist his team and clients in achieving their goals. Specialising in property management, Sam is dedicated to achieving successful outcomes for all parties through honesty and integrity. An expert communicator, he ultimately takes a hands-on approach acting as a partner to ensure your property is effectively managed and maximises in value. With Sam’s enthusiasm and the backing of the leading agency in Melbourne’s North, you can rest assured you’re in the most professional hands. When it came to career choices, real estate was an obvious one for Stacey Kelegouris. As ‘a people person’ with a friendly personality, strong work ethic and a passion for property and people, Stacey has found her calling as a property manager that has allowed her to grow and develop her skills to enable her to provide a level of service to the highest of standards to all her clients. 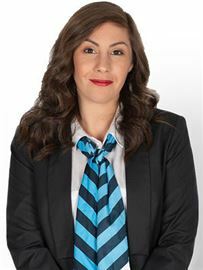 Having commenced her career in 2010, Stacey has built an extensive knowledge of the rental market in Melbourne’s northern suburbs, giving her the confidence to handle any situation on behalf of her clients with skill, patience and expertise. She has a great love and understanding of property, knowing that success in real estate is about building strong, trusting and long lasting relationships. She has been a local in this area all her life and uses this “insider’s knowledge” of the area to provide excellent advice to landlords and tenants alike. Stacey respects and treats all her rental properties as if “they are her own” and applies this by listening and understanding her client’s wants and needs, she is always well placed to take the best course of action to resolve any issues that arise and enjoys the challenges she is faced with every day. Stacey is living proof that with extensive knowledge and experience, that no issue is too great or too small in achieving the results needed to get the best outcome for all clients. Steve Marino has been employed as a Property Manager since 2001 and has been a landlord himself for over 6 years. Steve utilizes his extensive experience and knowledge of the Residential Tenancy Act and combined with his practical, systematic and zero tolerance approach, he strives for the best management and results for all his clients. Living locally Steve has sound knowledge and understanding of the area and its residents and keeps his fingers on the pulse of the residential market. In his free time Steve enjoys spending time with his family and friends, traveling, fishing and passionately following his favorite AFL football team Hawthorn. Sue believes that you need to be sure your property is in the hands of a Property Manager that not only has the experience, but also knows exactly what it takes to make a good tenant. Finding the right person to rent your property requires using this experience to guide the thinking and behaviour of prospective tenants. Sue has extensive experience having worked in three states and has an extensive and well-proven knowledge of the Residential Tenancy Act. She understands the importance of professionalism and dedication and prides herself on being able to determine what action to take under various scenarios. Not only will she treat your property as if it were her own, but she will always have your best interests at heart. Beginning her real estate career at only 17 years old, Talia went on to become one of the youngest licenced agents in the Northern Suburbs in 2012. Having begun at the bottom, and working her way up the ladder, Talia has trained as a Receptionist, Personal Assistant to the Head of Department, Assistant Property Manager, Property Manager, Leasing Specialist, Administration and Accounting, she understands all aspects of real estate! Talia’s love was in property management, and as such, has begun her career with Harcourts Rata & Co. Having a sound knowledge and understanding of the Northern Suburbs, Talia ensures that she is up to date with the latest market trends and recognizes the importance of having a professional manage your greatest asset. Genuine, honest and highly experienced, Travis Whelan is a highly regarded Property Manager with a staunch reputation for providing customer service excellence. Travis is constantly exceeding his clients expectations in every aspect of investment management from leasing, tenant management and client communication. A top-ranked professional, with a can do attitude, he’s hard work is backed up by many client testimonies. 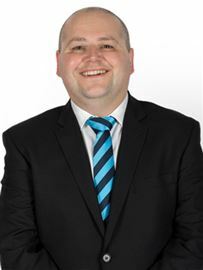 Travis is a expert and local of the inner north and is your local professional excelling in the area. Outside of the office, Travis enjoys spending time with friends and family, and relaxing at the beach when Melbourne’s weather allows. If you want your investment portfolio in the absolute best hands, Travis would be more than happy to help. Friendly and approachable with a strong background in customer service Courtney Newman understands the importance of handling one of your most important assets with professionalism. Through her studies in architecture, extensive customer service background and experience in the real estate industry, Courtney has developed an in-depth knowledge for all problem-solving situations. Courtney is always focused on completing the task on hand with maximum effect and minimum stress. Her highly professional approach and cheerful attitude, means she is easily able to build relationships and can successfully handle requests or issues in a calm and pleasant manner. 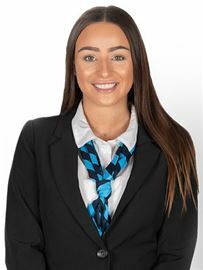 Building from her experience supporting both the sales and rentals teams from a receptionist role, Nikki has confidently and easily moved into the sales administration position at Harcourts Epping. This move is a reflection of her hard work ethic and good understanding of the industry's needs enabling her to fully support the Harcourts sales team. Having been recently recognised as Office Administrator of the Quarter and Office Administrator of the Year, Nikki is an invaluable member of the Harcourts team.